I received this book for free from QEB Publishing in exchange for an honest review. This does not affect my opinion of the book or the content of my review. Hamlet is miserable after the death of his father, but when the ghost of his father appears and reveals that he was murdered, Hamlet decides to seek his revenge... Will he succeed? A tragic tale of deceit and revenge. Combining modern-day English with stunning illustrations, QEB's Tales from Shakespeare bring the Bard's popular plays to life. Lively and easy-to-read, they are sure to capture your imagination! 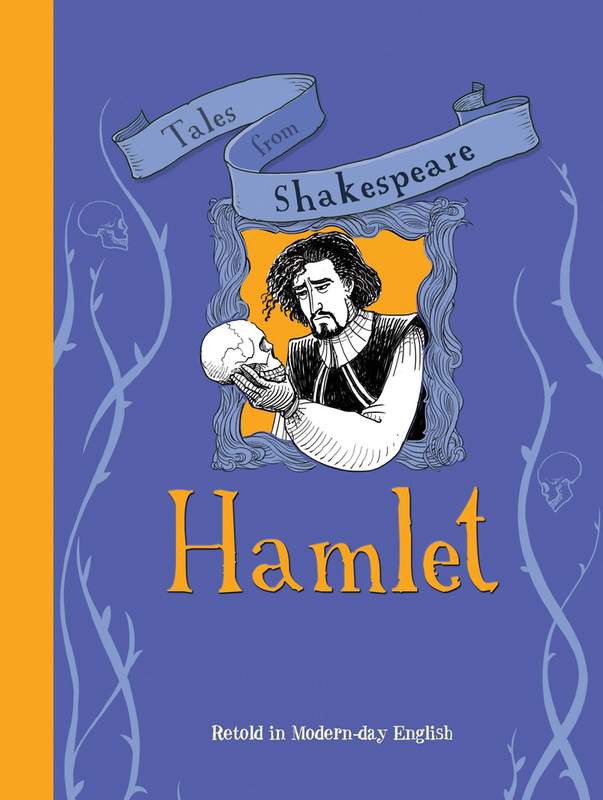 Hamlet Retold in Modern-day English was a wonderful tool in my classroom to teach about Shakespeare on a middle school level. My students really liked the illustrations, but did mention they wish there was more than just one splash of color added to the black and white pictures. While Hamlet is violent, it was tame enough for them to palate, and we even to used the book as a script to act out the play. I love the book design including the raised cover florishes. The editions are sturdy, built to last for a long time. The writing was true to the original play. I can readily recommend this to children and teachers as a modern day re-telling of a classic. Timothy Knapman studied at Oxford University and has written plays, musicals, songs and children’s books. His books include the successful Mungo, Eleanor’s Eyebrows and the Picture Book Pirates and its sequels. His work has been translated into 12 languages and have been read on British national television. Yaniv Shimony is an illustrator, comic artist and graphic designer. After a number of years working in advertising as an art director he chose to pursue his passion in illustration and became freelance. Most of his works are for children’s books, magazines and adverts. He currently lives in London.